Bixby: How do I set an alarm using Bixby? Waking up to an alarm is hard enough as it is, but opening up your phone and navigating to the Clock app to turn off your alarm is another strenuous task. Make it easy to turn on and off your alarm with Bixby. 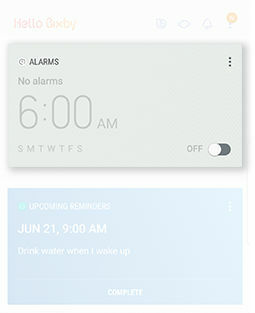 The Clock Card on Bixby Home is not always available at a glance, as Bixby Cards constantly rearrange based on time and location. But you can pin the Clock Card to the top of Bixby Home to view it at any time. 1. 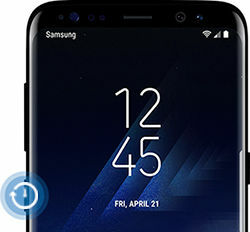 Press and hold the Bixby key. 2. While holding the Bixby Key, tell Bixby what time you would like to set an alarm. 2. While holding the Bixby Key, tell Bixby which alarm you want to turn off.